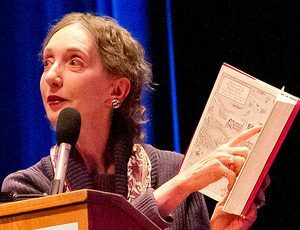 Joyce Carol Oates, born June 16, 1938 in Lockport, NY, is an incredibly prolific author who's also versatile in different formats—novels, short stories, essays, plays and memoirs. Having written a hundred books, Oates has covered a wide range of topics, from boxing, starlets and rebellious teenage girls to serial killers, gothic horror tales and dysfunctional families. 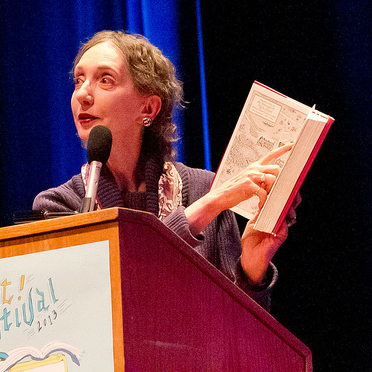 She also contributes literary criticism and teaches writing at Princeton University. Her fiction is simple and spare, but filled with worlds that are darkly imaginative and rich. Oates’ characters are sometimes violent, often tragic and frequently share her working-class background and the upstate New York setting she knew as a child. Although no short list could possibly do justice to the full body of Oates' work, here are a few titles that have captured readers. Beautiful Days: Her latest collection of short stories including "Undocumented Alien," which won a Pushcart Prize. Each tale manages to illuminate different aspects of relationships in surprising and sometimes disturbing ways. Beautiful Days is available in other formats. Black Water: A loose fictionalization of the Chappaquiddick incident, in which a car goes over a bridge and a young woman explores her encroaching death in a multifaceted stream of consciousness narrative. This National Book Critics Circle Award finalist was nominated for the Pulitzer Prize in 1993. Black Water is available in large print. Foxfire: Confessions of a Girl Gang: A personal favorite, this novel explores the power of female rage as a group on teen girls takes on the 1950s establishment. The book has been adapted to film twice. We Were the Mulvaneys: The saga of an upstate New York family's fall from glory to ruin, redeemed only by revealing the secrets at the heart of their destruction. This Oprah pick was made into a TV movie. We Were the Mulvaneys is available in other formats. A Widow's Story: Heartbreaking and tender, this book chronicles Oates' life with husband Raymond Smith, who passed away unexpectedly in 2008 from medical complications. She explores grief, how she managed to survive his death and her eventual return to writing. A Widow's Story is available in other formats.